NASHVILLE, TN — With several months in the position under her belt – marked by upgrades to the Council’s transparency, engagement, and oversight; stepping in to oppose the latest waste facility proposed in our community; and taking steps to bring the Council together – Acting Vice Mayor Sheri Weiner is running for the official position of Vice Mayor in the August 2 election. Weiner took the helm of the acting Vice Mayor position after the overly populated special election launched Mayor Briley into the leadership role for Davidson County. No stranger to Nashville politics, Ms. Weiner shares the same goal to unite Metro government as they address and resolve challenges, but the two-time councilwoman stands out due to her outspoken reputation of inviting diverse opinions when dealing with the issues. In speaking with the Tennessee Tribune, Ms. Weiner boldly stated, “Yes, Nashville is the It City, but not the It City, for everyone.” She made this statement in regard to the follow-up narrative of insistence that the African American community be included in economic development opportunities, that business for minorities in Nashville goes beyond Jefferson Street and the term “everyone” and “women” doesn’t necessarily include African Americans when it comes to business development. Not one to shy away from the city’s appearance of inequality, Acting Vice Mayor Weiner declared that if she is elected to the position she would ensure that minorities were included in available business opportunities and she would spearhead information campaigns through email blasts, church information bulletins and numerous opportunities to engage this often-overlooked community when it comes to being successful in business in Davidson County. Ms. Weiner is an advocate for ensuring the community and stakeholders are involved in key decision-making processes. During her two terms on the council, she stated that, “I used surveys and community meetings to collaborate because the more you bring people together, the more ideas you gather, which is important.” Acting Vice Mayor Weiner further clarified the key decisions of importance also included any decision the Metro Council would make that had the potential to affect the lifestyle of the community. According to Weiner, who focuses on action and getting things done in the community, “It makes sense to get things done as a body and physically go out and engage the community and talk to them and listen.” When the Tennessee Tribune asked how long it would take to start this engagement process because it is of interest, Weiner replied, “It has already started as of last week, when we implemented a public comment period in which anyone can come and speak to the Council during a period of time during our second meeting of the month. The community can speak about anything they desire whether it’s on the agenda or not.” She indicated this, however, is a test to see what works and what does not work as they move forward with the concept. Education continues to be at the forefront of all political platforms, but Acting Vice Mayor Weiner takes a different approach and indicates she would like to see the Metro Council take more responsibility in this area and bring educators, parents and the community together as they govern according to the school board and the state. She feels there needs to be more communication and a concerted effort to determine where the deficits are and try to fix them together. This is very important to Weiner in ensuring that no child is left behind and that children who are identified as “at risk” in regards to their learning and advancement get the support they need. The budget according to Acting Vice Mayor Weiner is a multi prong approach with four primary areas of management. Weiner stated, “The Davidson County budget is vague and is based upon a management process that goes back many years and we need more time to adequately manage the volume of information and we need an actual budget analyst to assist.” No disrespect to the efforts of the leadership and staff in the positions that are committed and work very hard, but the existing system according to Acting Vice Mayor Weiner is archaic, they don’t get access to information and they need a better way to for processes such as vet incentive proposals to name one of many. If elected, this is an area that she plans to address, improve and streamline in regards to the budget. Acting Vice Mayor Weiner also has interactions with General Hospital and has brought teams together to work on the strategy of improving their system, managing their resources, improving patient healthcare and outcomes and ensuring the viability of the hospital as a whole. 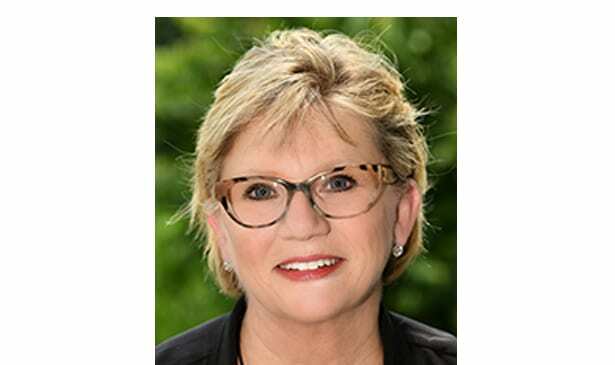 Sheri Weiner graduated from the University of Tennessee and is a Doctor of Audiology who has lived well over 35 years in Nashville. She loves the city, knows the inner workings of the people, respects the political processes and has concluded that collaboration, getting the people involved with the political structure is a surefire way to solve problems, improve government, lead and make Nashville a better place for all.